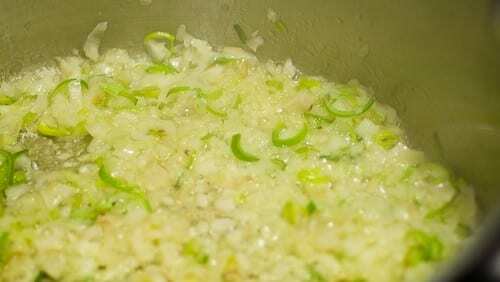 Starting off with some leeks, shallots, salt and pepper and thyme, I sauted things for a little bit until tender. 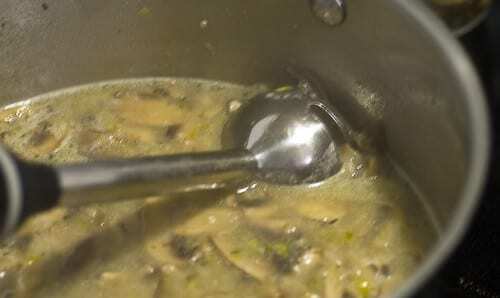 Next I added the mushrooms and sauted till all the liquid coming from the mushrooms is evaporated. I took a quarter of the mushrooms aside to add back in later. 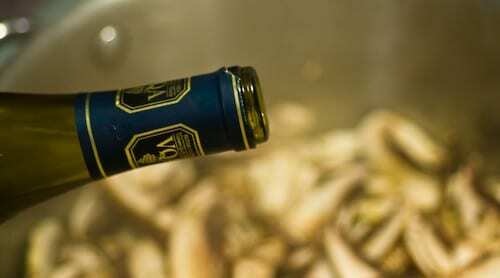 I then added some wine and continued to cook till the wine was nearly evaporated. 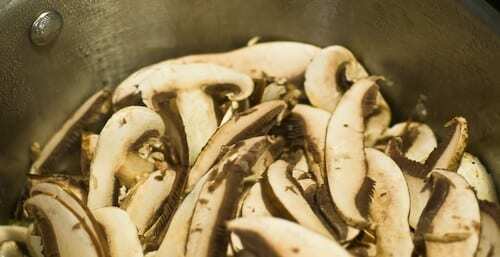 When the wine hit the mushrooms, it smelt so good! 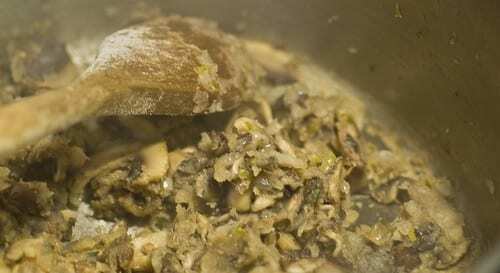 I then added some flour slowly to the mushrooms and cooked the mix till the flour was well incorporated. I know it looks a little gross, but trust me, this will turn into a thing of beauty. 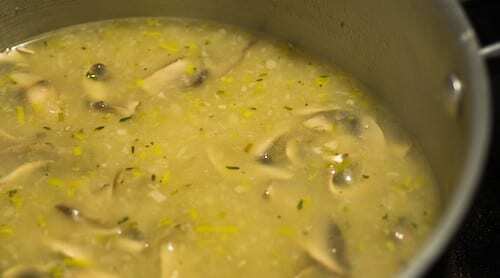 At this point, I added chicken broth and cooked til the mixture was well incorporated into the broth. 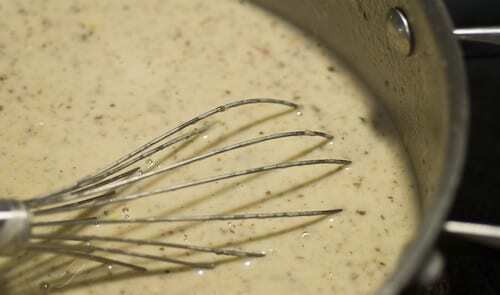 I also adjusted the taste with nutmeg and salt and pepper to taste. 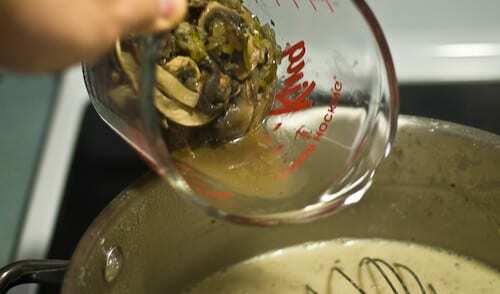 In order to get that mushroom to the creamed stage, you’ll need to blend the mixture. 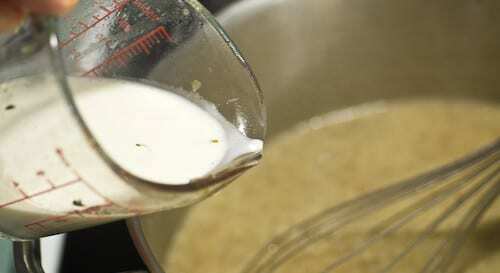 I chose to use a handheld blender, but some people may find it easier to just use a blender. 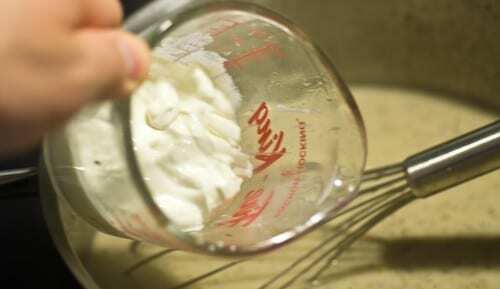 Finally, you’ll want to add some heavy cream and some sour cream to get that signature smooth and creamy look. 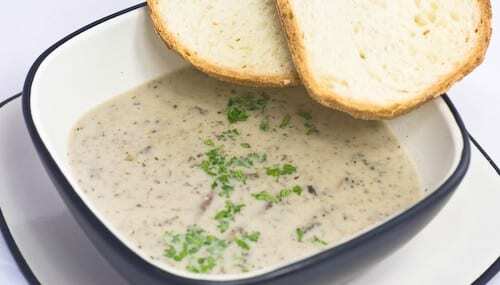 Just give it a final whisk, add in the mushrooms that were pulled earlier on and serve with fresh chopped parsley and some of your favourite dipping bread. You can even use a bread bowl if you want. 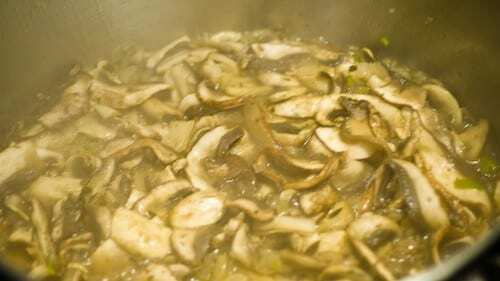 That’s how you make a wicked mushroom soup from scratch. Bon Appetit!